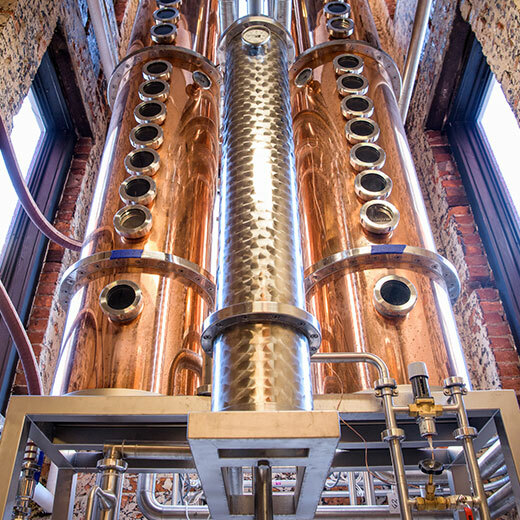 BOTTLE YOUR OWN — District Distilling Co.
We invite you to come tour the dramatic copper stills of our distillery, taste through our portfolio of DC-made spirits and learn about our unique distilling methods. Next, fill your own bottle with our award-winning C&O Tradesman Whiskey, unfiltered and cask strength, from your choice of French Rhum or Apple Brandy casks. Personalize the bottle’s label by hand with a gift message or note. The perfect handmade gift experience for any spirits enthusiast.